Today was clearly one of those days! 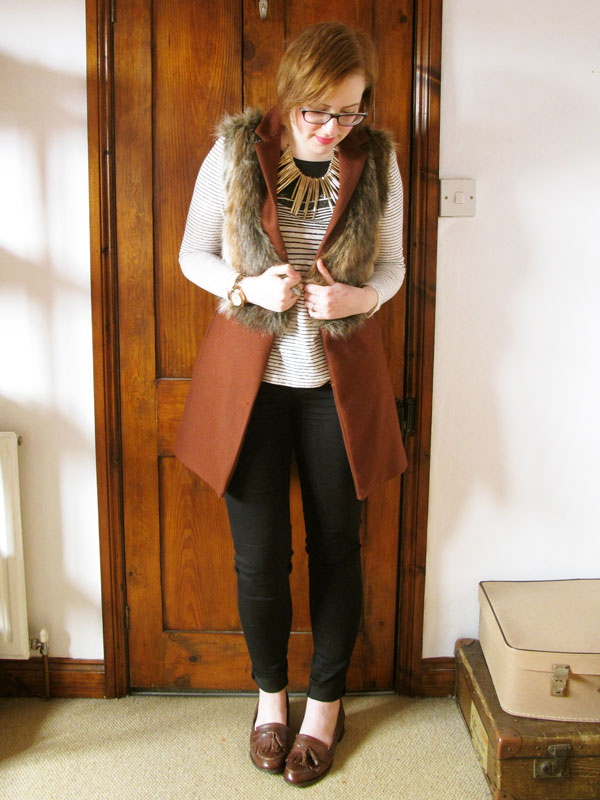 Black skinnies and a basic striped tee (both weekend Primark purchases – the jeans are particularly amazing) make for a simple outfit, but leather brogues, my favourite necklace and this amazing faux fur and wool gilet from Zara (£30 in the sale) add a fashion edge. Kind of. Not the most inspiring outfit, but a reflection of a real Monday wardrobe. What are you wearing to start the week? Oh wow that gilet is amazing! I love the colour of it! Faux fur makes everything look so luxe! I’m in love with your gilet! I always love your outfits, even if you class this as a not being as inspiring! That wool gilet looks so cosy, I love Zara knitwear. Love this outfit, even though it’s simple it’s still really classic and stylish! The jeans look fab, I’ve been after a good pair of black skinnies for ages. That necklace is divine. Love it. I love a good statement necklace. Completely unrelated but I love the vintage cases in the corner of the photo, too! 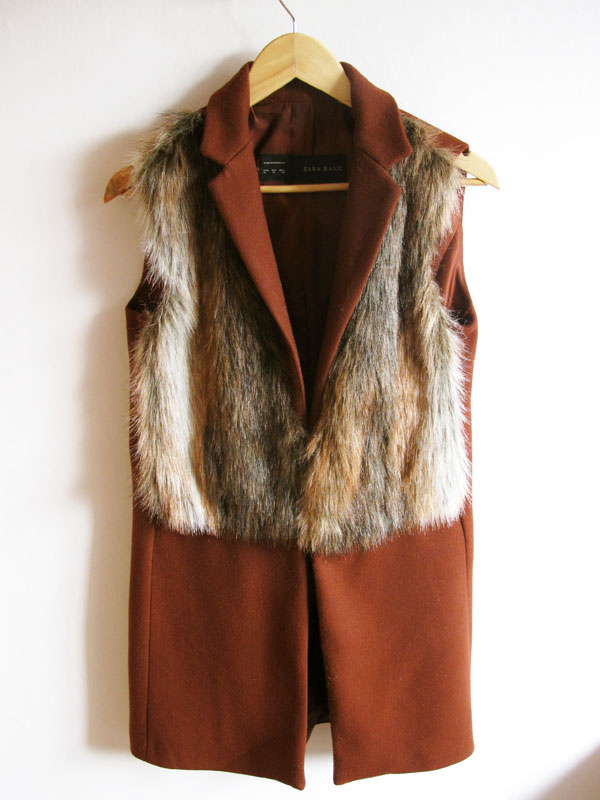 That gilet is swoon-worthy, I adore the colour! 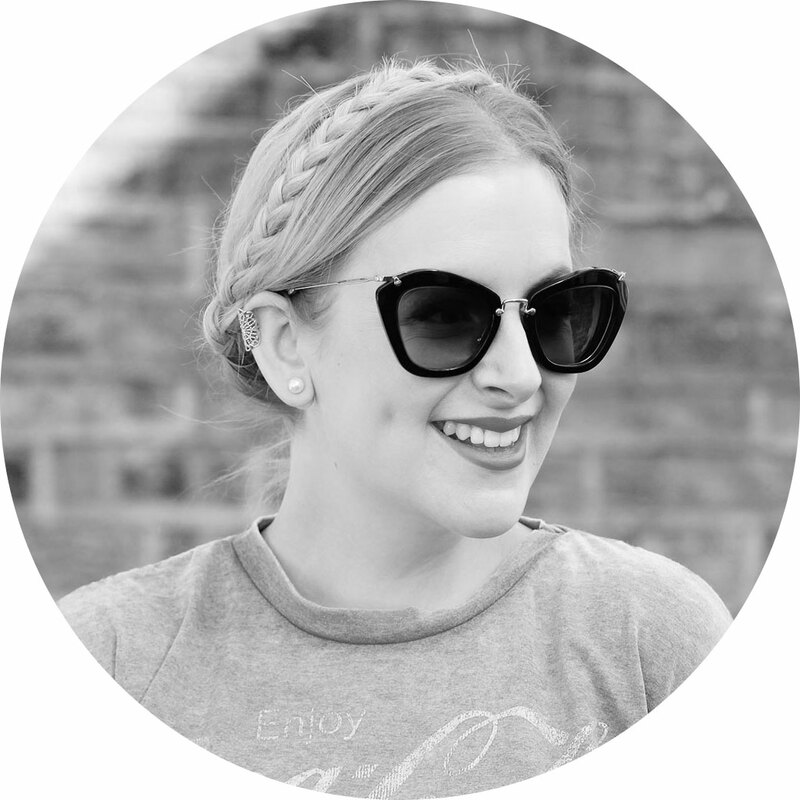 I wore a chunky knit and midi skirt today, all about comfort for me! I must admit I am not a massive fan of the gilet, but I love the combination otherwise! My Monday outfit… my M&S uniform, as usual. How I wish I had a job where I could wear my own clothes. I was feeling preppy today! I went for red skinny jeans with a white shirt and a grey cable knit jumper with quilted ballet flats. As you say, Mondays are for easy outfits! Love your shoes 🙂 I have some very similar! I saw your tweet about the amazing primark skinny jeans. Might have to check them out! Can not go wrong with black skinnies !! Perfect Monday attire..
Those jeans look amazing! How much were they/what did it say on the label?? Love this outfit, especially the loafers and necklace! Amazing outfits. I really like those, also I am very much interested in other different colors of leather jackets please share more about leather jackets especially for women.